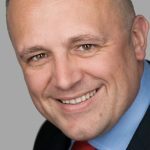 It’s great that you are interesting in improving the performance of your sales team – I’m happy to help where I can. 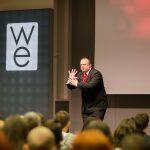 Having trained more than 120,000 salespeople in more than 30 countries since 2004, I’ve got a fair amount of experience in solving the challenges sales teams face, and overcoming them! 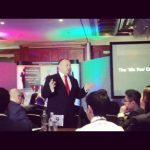 All of my sales training and sales interventions are tailored to the individual client and their needs, so you can guarantee both not only the best training, but also the best impact on sales results – whether we work together on a one-off training session, group of sessions, or more of a long-term project. 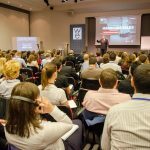 As an former Sales Director myself, I believe any kind of sales training should produce sales results (and therefore ROI) as quickly as possible – and that’s how I design both my work, and my own Sales Methodology (Stand Out Selling). 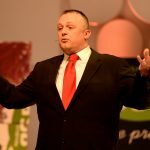 My training approach is pretty unique, taking inspiration from my background as a professional buyer (understanding the psychology of how people buy), top selling salesperson (proven sales techniques that work), and also working around the world with sales teams to improve their sales performance, I have an unrivalled track record in generating sales results from my work (see my profile on LinkedIn for my 300+ recommendations). 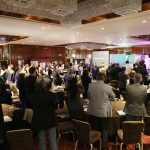 I have written 57 workshops, interventions and training sessions – all focused on different areas of sales improvement – ultimately designed to make impact and ROI on any training as fast as possible. To know better how I may be able to help you, the best ‘next step’ would be to have a conversation. 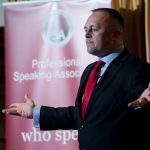 I insist on speaking to any new potential clients myself – both in order to fully understand their requirements, and also to understand if it is a training project that we would both want to work on together. You can either call the office directly on +44 (0)161 401 0142, or put your details into the form below, and I’ll call you back to discuss how I may be able to help you in more detail. I look forward to helping you solve your sales challenges, and achieve your sales goals!